These products improve the ticketing experience through enhanced safety, comfort, and convenience. 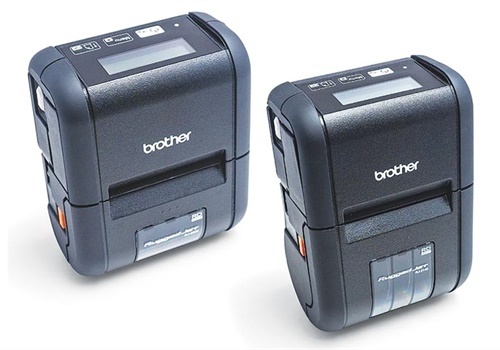 Brother Mobile Solutions has added the RuggedJet 2 wireless mobile label and receipt printer to its mobile printer lineup. This compact, lightweight, wireless, yet rugged 2-inch format mobile printer is ideal for field and public safety applications such as parking violations, citations, receipts, and labels. Brother's mobile printer lineup also includes the award-winning, full-page PocketJet 7 Series; the RuggedJet 4 for ecitations, and the RuggedJet 3 label and receipt printer. CAB Solutions LLC, a police officer owned and operated company, offers the versatile CAB Solutions Brother Headrest Printer Mount. This all-in-one adjustable kit fits easily into all patrol vehicles equipped with a removable headrest. It is compatible with Brother thermal printers and was designed with public safety in mind. Cardinal Tracking's MobileCite product automates the citation issuance process to increase safety by reducing time spent on traffic stops and help eliminate written errors in issuance and data entry. 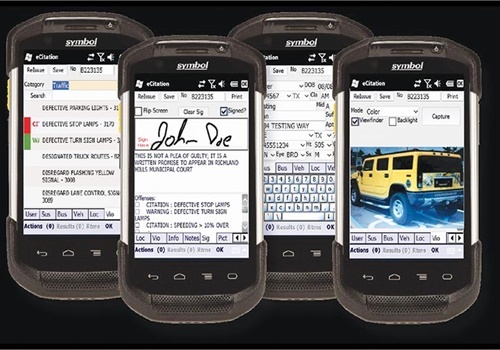 With MobileCite, citations can be easily issued in the field via a laptop or handheld device. 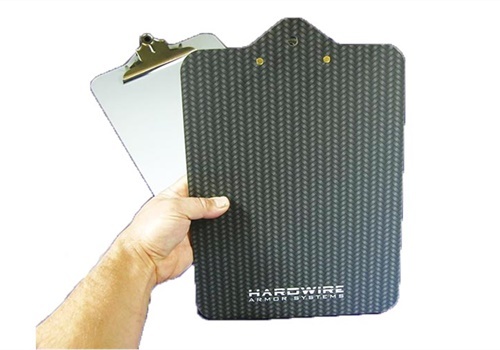 Hardwire's Bulletproof Clipboard is designed for everyday use and is able to become a layer of protection in an emergency situation. The armor technology is derived from solutions developed for the Department of Defense. All Hardwire bulletproof clipboards meet Bulletproof Products NIJ Level 3A protection. The product is lightweight, functional protection available in multiple finishes: carbon, camo, and dry erase/whiteboard. 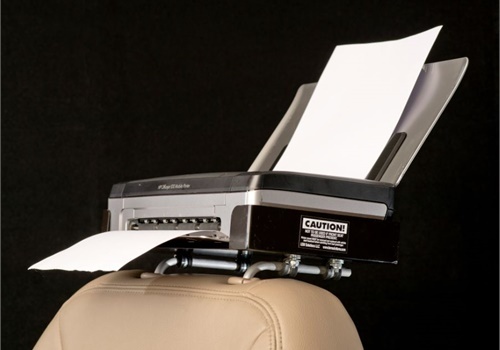 LEM Solutions U.S. patented vehicle headrest printer mounts make some E-citations, crash reports, warrants, and Amber alerts are all easily reached without the driver needing to take their eyes off the road. LEM's modular system provides additional and convertible mounting options for the console and partition. 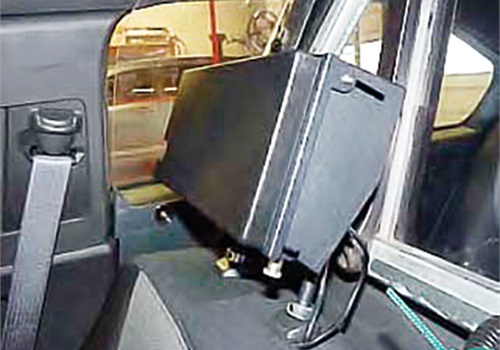 LEM designs and manufactures vehicle mounts to accommodate printers commonly used by law enforcement. Saltus Technologies is a software company that provides the DigiTicket electronic ticketing solution for public safety. 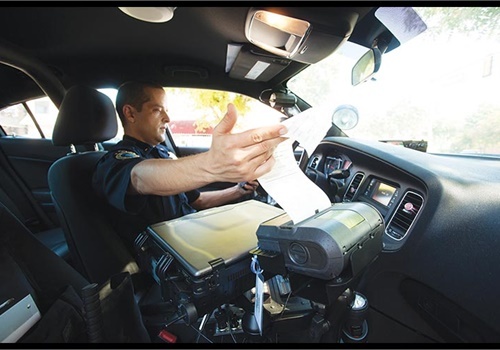 The company's mission is to help officers reduce ticket processing times, eliminate handwriting errors, and improve the safety and security of ticketing programs. DigiTicket can be configured with handhelds, tablets, laptops, and printers. DigiTicket solutions can be purchased or acquired using a monthly service pricing option. The service pricing option requires no upfront costs or long-term contract. 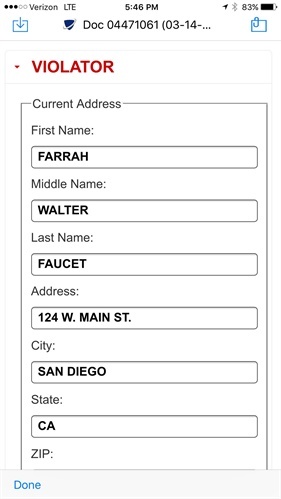 The TBL iCitation uses the iPhone, iPad, or MDC as a platform to generate digital citations. The program is distinctive in many ways when compared to other e-citation technology. It can be deployed with little effort from the law enforcement agency or municipality. In many deployments the department need only supply the scanned citation format and TBL does the rest. The app is distributed from the Apple App store for iOS devices and is browser based for MDC use. Brazos electronic software from Tyler Technologies is an advanced mobile electronic citation solution that allows patrol officers to easily enter citation information while out in the field and use this mobile data collection device for automatic upload into any system defined by the agency. This data provides complete citation, statistical and mapping reports. 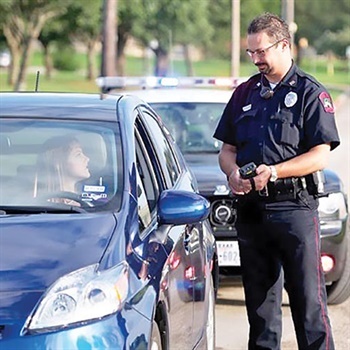 Officers can reduce time spent on traffic stops and parking citations while eliminating data entry errors with Brazos e-citation software.